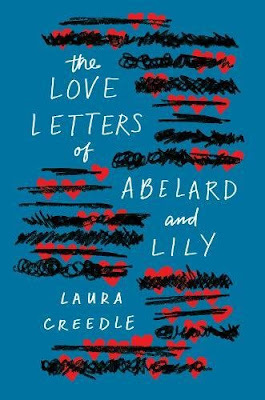 In June, Laura Creedle's debut novel, The Love Letters of Abelard and Lily (Houghton Mifflin Harcourt, 2017) won the Writers' League of Texas Book Award in the Middle Grade/Young Adult Category. 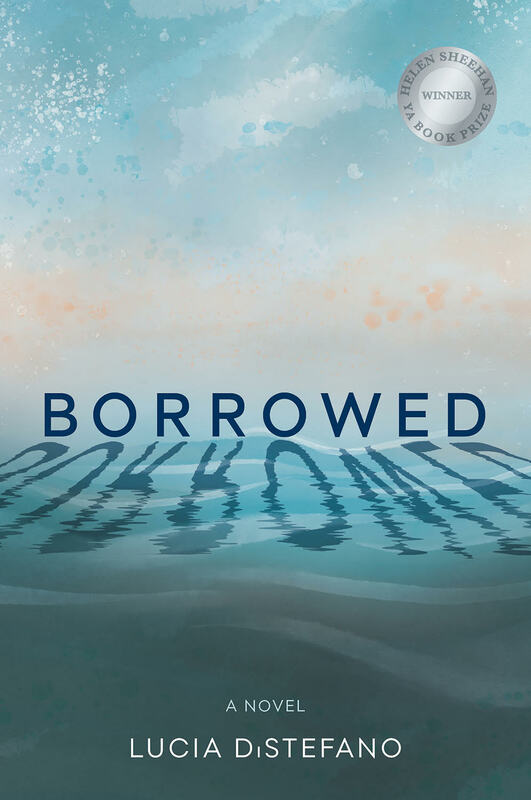 Lucia DiStefano's debut novel, Borrowed (Elephant Rock Books, 2018), won the Helen Sheehan YA Book Prize. Both Laura and Lucia tried the traditional route of querying agents, but ultimately entering a contest turned out to be a pivotal event for these Austin authors. I'm excited to share the unique backstory of these two award-winning titles that are both set in Austin, Texas. Laura, tell us about your path to publication. How long had you been querying before you entered Pitch Wars? Laura: I’d queried more than 90 agents before Pitch Wars. I’d pretty much given up! I almost didn’t make it into Pitch Wars. I wasn’t chosen but my mentor, Marty Mayberry, loved my novel and wanted to help me. She gave me invaluable advice about romance writing, which I didn’t really have experience with. When another novelist dropped out, I got into the agent round. I had eight offers from agents and it was such a difficult decision, but I really felt like Jim McCarthy (Dystel, Goderich & Bourrett) really understood my novel. He’s funny and compassionate and his notes were amazing. 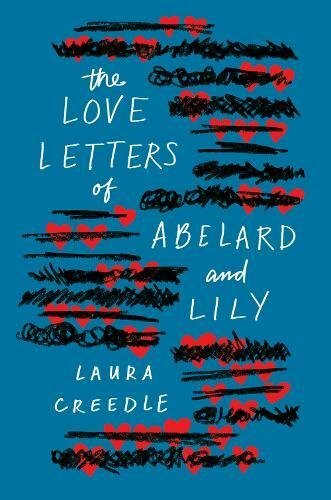 What inspired you to write The Love Letters of Abelard and Lily? Laura: I’m ADHD and Dyslexic, and a lot of Lily’s experiences are my own. The novel really started with an unfortunate graduate school experience. I’d always wanted to learn to teach dyslexic students how to read and so I enrolled in a certified academic language therapist program. I loved the course work, but I couldn’t read the rubric, and ultimately I failed the class. I’m not good with abbreviations, different type faces, colored paper—the kind of stuff teachers don’t always think about. I knew that a lot of neurodiverse people have this kind of experience in school. Hard enough when you’re an adult, but devastating when you are a kid. Laura: I had never written romance, so I went looking for romantic texts throughout history for inspiration. 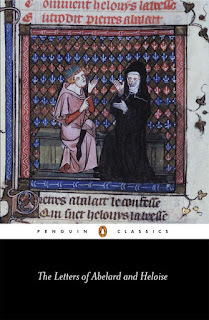 I found the Letters of Abelard and Heloise, and they floored me. So passionate and intelligent and nerdy (if you can call someone from the 13th century a nerd). I loved the letters so much, I decided they would quote each other sections of the letters. Lily are Abelard are not great at talking in real life, so I wanted their relationship to develop through text. I absolutely love a deep dive into research. I reread the letters over and over until I had whole sections memorized. As much as I knew about ADHD, I didn’t know as much about autism. I did a lot of research, and I had a lot of sensitivity readers. I changed a lot of what I’d originally written based on what people told me. One of my readers has a son with Austism Spectrum Disorder. She was excited about the novel, but when she finished she was deeply disappointed that Abelard never had a meltdown in front of Lily. So I added a scene where not only does Abelard have a meltdown, but Lily responds in a way that is very impulsive and destructive. They are both at their neurological worst! In earlier drafts, I shied away from difficult confrontations, but in the end, I thought it was important to their relationship that they acknowledge their neurological similarities and their differences. They spend a lot of time discussing how they would go about having a physical relationship. I wanted to deal openly and respectfully with issues around touch aversion. It doesn’t sound so romantic when I put it this way, but trust me, it is. What advice do you have for other writers thinking about Pitch Wars? Laura: I would definitely tell other writers to try Pitch Wars. It’s very competitive, but it can give you a leg up with agents. I got offers from agents who had already requested my novel, but hadn’t read it yet. One agent told me her assistant had been trying to get her to read my novel for three months! It tells you how busy agents are. That is the most eye-opening thing I’ve learned through Pitch Wars and publishing. Agents are busy, and you have to be persistent. You have to love your own novel enough to beat people over the head with it. And revise revise revise…. For Lucia DiStefano, a writing contest also played a critical role in her path to publication. 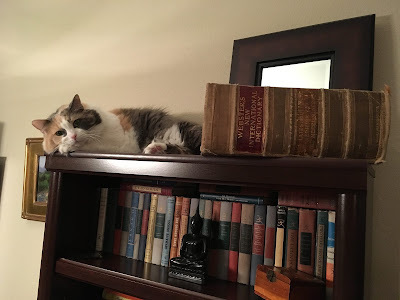 Lucia, as an unagented author, how did you identify your editor and connect the manuscript with the publishing house? 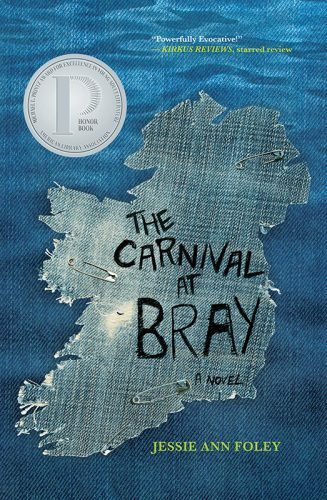 Lucia: I had read Elephant Rock’s first YA novel, Carnival at Bray by Jessie Ann Foley, when it came out in 2014 and truly fell in love with it. I hadn’t heard about Elephant Rock Books before then, but let me tell you, that book made me sit up and take notice. So ERB was on my radar (and they’re based in Connecticut, and I’m from Connecticut, and the publisher teaches at Central Connecticut State University, where I got my undergad degree, so I also felt a kind of cosmic warm glow, if you will). I caught up with their second YA in 2016 (The Art of Holding On and Letting Go by Kristin Bartley Lenz, which is the only YA I’ve ever encountered about rock climbing, and it’s so beautifully done! So much so that I wanted to rock climb after reading it, and that’s in spite of my fear of heights). I was happy you didn’t have to be agented to submit to their YA contest (the Helen Sheehan YA Book Award; the contest is run every other year). Helen Sheehan was the great aunt of Elephant Rock’s publisher, Jotham Burrello. She was a teacher and then a school principal nearly a century ago. And she lived in the Northeast, where I was born and raised. 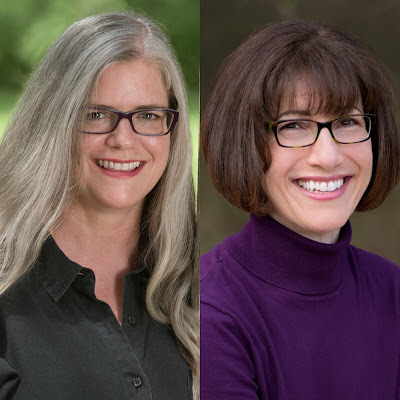 Winning the contest and being the third YA author in their stable has been more thrilling than I can say! Lucia: The germ of the story infected me many years ago when I watched a young woman ahead of me in the post office queue write something in pen on the palm of her hand. Of course I would have loved to know exactly what she wrote. We’ve all jotted “note-to-self” reminders on us when we needed to remember something in the absence of paper or device (I trust I’m not alone in that? ), so it wasn’t that it was strange, but rather, seeing it from the outside made it more memorable. I started thinking about memory and how fickle and deceptive it can be, how we feel it’s important to hold onto certain memories and forget others, so I began a novel about a grieving girl who writes messages on her palms in her sleep and has no memory of putting them there. I wandered, aimlessly, within that story for a long while, and it wasn’t until I stumbled upon some anecdotal (but powerful) evidence for cellular memory in heart-transplant patients that I landed on the missing element my protagonist needed. Lucia: I was a voracious reader as a kid. Not only that; maybe it’s more accurate to say I was a bit of a desperate reader. My mother died when I was a high school sophomore (and she was ill for many years before that), and my father died before I turned 21. As a teen dealing first with the fear of my mother’s death, and then struggling to cope with life without her, I took great comfort in books, especially those that had captured even a shadowy sense of what I was feeling. In that regard, fiction felt like a much more grounding, authentic part of life than “reality” did. Since I was so profoundly moved by novels I read as a teen that did a good job of depicting grief and loss (and I’m still moved by those), I think subconsciously I was motivated to join the literary conversation at that place. So as a teen, I read not only for the unique and lasting enjoyment that reading can bring, but to reassure myself that emotional pain didn’t mean a diminished life. After all, I spent time with characters who survived painful situations and ultimately connected with aspects of life — even the smallest — that made it worth living. And most importantly, they didn’t deny or overlook or turn away from their problems, but they explored them—sometimes with trepidation, sometimes with courage. So perhaps I’ve always subconsciously felt like I “owed” something to the books that buoyed my struggling teen self. And what better way to repay that than add my voice to the conversation? And long before I ever tried my hand at writing for teens, I taught high school English. I was lucky enough to be a student of the YA lit pioneer Dr. Don Gallo at Central Connecticut State University when I was working toward my teaching degree, and his legendary course on the YA novel deepened my passion and respect for the genre. So when I started teaching and found out I was restricted to teaching whatever was in the book room (the most contemporary being Fahrenheit 451 (by Ray Bradbury (Ballantine, 1953)), and there was lots and lots of Charles Dickens), I decided to prove to teens there was a rich and varied body of literature out there written with them in mind. I brought in dozens of YA novels from home and lined my classroom with them, encouraging my students to borrow them by jotting their names down on the check-out sheet I’d provided…only if they’d like to. “Like a library?” one had asked. “Exactly like a library,” I’d said. 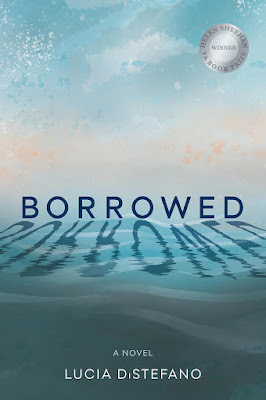 But because I was so frustrated with the school board’s insistence that I stick to the “classics” and so frustrated with the result (teens thought reading was boring), I carved out ten minutes at the end of most class periods to read aloud to my students from a bona fide YA novel. They loved it. They started asking for that time and were disappointed if we didn’t get to it. 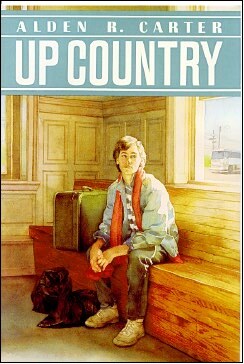 The book was Up Country by Alden Carter, and it dealt with serious subjects like substance addiction, dysfunctional families, criminal activity and, because it was realistic, it included the occasional curse word. You can see where this is going, right? One of the students happened to tell her parents that her English teacher was reading something…um…colorful, and those parents went to the school board, and I was told to knock it off with the “unapproved” reading material or I’d be out of a job. I didn’t consider writing my own YA, though, until years later, when I was in graduate school (before then I had only written literary short stories and poems). One of my assignments for my class on teaching writing was to complete one of the projects I’d assigned my Freshman Composition students. I opted for one of the creative, open-ended assignments, rather than the required research papers. And in my piece, I narrated from the point of view of a high school junior. Unbeknownst to me, my professor gave what I’d written to his teen son, who reportedly liked it so much that he asked his dad for the “rest of the book.” My professor shared this with me (thanks, Dr. Riggio), and a goal was born. Lucia: This is a good question, especially considering I doubt I ever took any of the advice I’d read (except for “never give up”). That latter mindset has robbed me of so much energy through the years, and so needlessly. Also, I’d say only make goals that you have control over achieving. “Getting an agent in six months” or “Having my first book deal in one year” can sound motivating, but because, ultimately, that’s beyond your control, not meeting that goal can be massively demoralizing and hard on your creative brain. Whereas goals like: “Write 500 words a day, Monday through Friday” or “Complete first draft by Labor Day” are within your control, and therefore achievable and rewarding in their own right. So for anyone pursuing any creative pursuit, I’d say that’s a definition of success to hold onto. I don’t mean that we shouldn’t later figure out the pragmatics and develop a plan for breaking into print, I just mean that creating with a playful, joyful spirit can do wonders for a writing life in general, and it can make the business end (much of which is beyond our control) much more tolerable when we get there. Lucia in conversation with Cindy House at BookPeople launch party. Laura Creedle lives in Austin, Texas, in an urban forest with her husband and son, along with a cat who thinks he's a dog, and a tiny dog who acts like a cat. When not writing, she volunteers with a kindergarten pre-literacy program at a local school. A former high school English teacher, Lucia DiStefano currently works as an editor, ghostwriter, and writing coach. First-generation Sicilian and daughter of an olive farmer, she admits to having recurring pasta dreams. Hailing from central Connecticut, Lucia lives near Austin, Texas with her husband and an old bloodhound named Waffle.